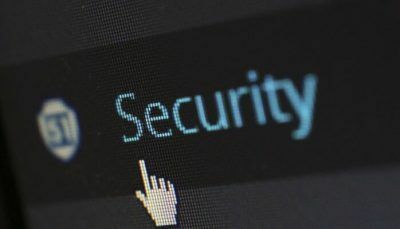 Cyber security is an important topic these days, thanks to cyber threats that come in myriad forms: worms, malware, ghostware, machine to machine attacks, jailbreaking and many others. Given the fact that a lot is at stake for whosoever may be affected by these, the fear is understandable as hackers have more sophisticated weapons in their hands than ever before. Cybercrime is also big business, according to Usman Choudhary, the chief product officer at ThreatTrack Security. Thieves that steal data are becoming more specialized in their skills in spite of increased cyber security he opined. The current scenario has these criminals working with a skilled team, developing and executing phishing campaigns and selling the stolen data. The Global Security Strategist of Fortinet Derek Manky says that the threat to cyber security looms large and cyber world faces close to half a million cyber-attack attempts in a minute. Fortinet is network software and cyber security services provider and has clients that include enterprises, data centers, carriers and distributed offices. Read on to find out the most feared cyber threats to cyber security that experts are on the lookout for. It is predicted that the number of connected devices will increase by over 30 percent of the numbers in 2015. By the year 2020, the number will be well over 20 billion. This presents a huge opportunity to hackers as most of the consumer devices that are connected do not place a priority on security. Also, the evolution of mobile and cloud technologies and the emergence of “Internet of Things” is seen as a tremendous opportunity for the attackers. Smartphones come under the highest risk category. Cybercriminals are particularly attracted to this category given the chance of disrupting operations through malware and malicious apps. Attackers have special websites that will identify what your phone is vulnerable to when the phone connects to them. Apple devices are purportedly the most secure among the brands available. Headless worms are all set to make an appearance, according to cyber security experts. Malicious code or “headless worms” floating through millions of computers is designed to attack devices such as smartphones, smartwatches, and medical hardware. This code is written to move the worms from device to device. One of the largest attacks witnessed in this type of attack is an instance where 15 million devices were affected. Experts predict that this number can easily go up to 50 million which may spark a global machine outage. Attacks on the infrastructure of clouds and virtual machines (this is actually software that runs like a computer) will only increase. Malware designed to disrupt the working of cloud-based systems are on the rise. The increase in the number of hybrid and private clouds are only expected to increase these types of attacks. Hackers will find it easy to attack corporate networks by attacking mobile apps, which almost always are cloud-based. Malware will soon turn into ghostware. This malware is designed to attack, steal data and then cover up its tracks cleverly. Ghostware will make it harder for the law enforcement agencies to track the perpetrators or estimate the amount of data that has been compromised. Blastware is another emerging category of malware that strives to disable systems as soon as it is detected. Critical infrastructure can be damaged beyond repair using blastware. Hackers are now creating malicious code that behaves harmlessly when examined but morphs itself into malware when no longer under suspicion. This type is given the name two-faced malware. This is gaining more attention in spite of the fact that most software is now subject to the sandbox test to examine in a deeper fashion the behavior of the package under different conditions. For the common man, cyber security experts warn that phishing scams would make their way through travel and vacation emails. One should be wary of emails that offer dramatic discounts. Websites offering discounted tickets for major sporting and entertainment events may be yet another trap. Users should be careful not to click on any banner or advertisement. According to Manky, the volume of cyber-attacks has gone up because cybercriminals now know how to commit the crime and how to evade the law enforcement agencies. They are trying to up their strategy at any given point in time.